Our Stage 1 kit featuring a cold-air intake kit and matching performance software. The aFe intake is a cone filter with a heat-blocking shield around it. 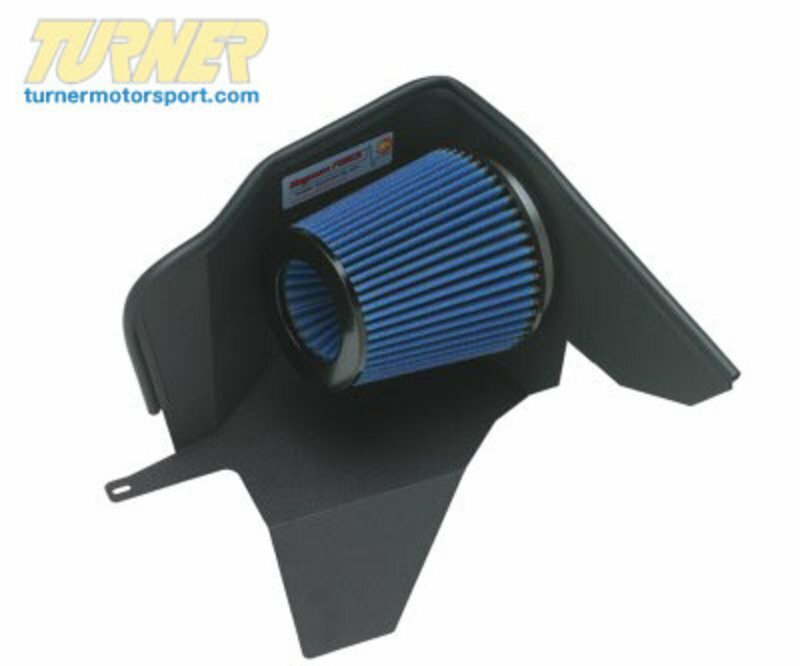 The larger surface area of the filter, combined with the heat shield, allow more cool air to enter the engine - creating more power and torque, a richer engine sound, and better throttle response. The kit is supplied complete with heat shield, intake tube, sealing materials, hardware, and install instructions.